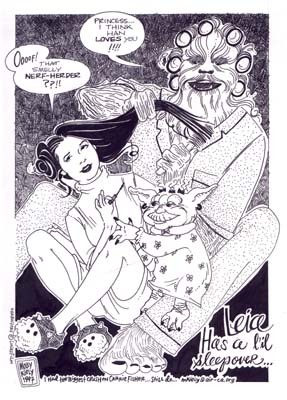 ...from the 1997 San Diego Comic Con souvenir programme. Chewie in curlers! 7 x 10 inches.